André Vandenbussche participated in the exhibition "Village of Artists" organized by Lompret village in France as part of the Deûle celebrations « Deûle en fête ». The sculptures and paintings exhibition, gathered local artists expressing themselves in figurative and abstract. 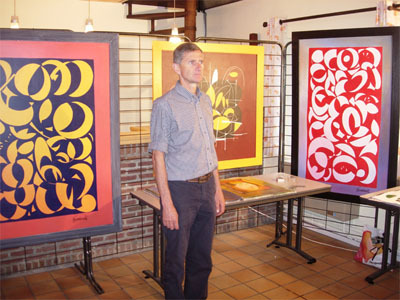 The exhibition took place in the Ferme du petit pas, Lompret, France.